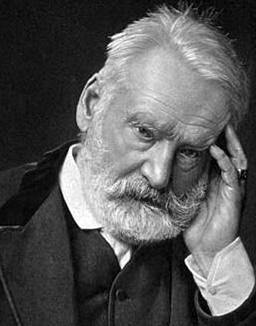 I heard a promo recently about a segment on Public Radio, and the gist of it was, “What book did you read when you were young that changed your life?” I heard only the promo, but it got me to thinking about the question, and my answer — momentous if not quite life-changing — seemed to be Victor Hugo’s 1831 novel known in English as “The Hunchback of Notre Dame” and in French as “Notre Dame de Paris.” I was around 13 or 14 years old when I spotted a paperback copy of the novel on one of those carousels in a sweet shop near our house. I think I was attracted to it because of the suggestive illustration of the gypsy girl Esmeralda on the cover. (Did I mention that I was about 14?) In those days a paperback book cost less than a buck, so I bought it and sneaked it into the house, figuring the cover might attract unwanted attention. I went to elementary school from the late ’40s to the mid ’50s, and the most provocative thing I read was Henry Wadsworth Longfellow’s “Hiawatha.” I was taking quite a leap from that curriculum to Victor Hugo — although I didn’t know it at the outset because writers like Victor Hugo weren’t mentioned at Memorial School. I was mesmerized by the book. I read it over and over. I certainly had never read such descriptions of lust and violence, and I was scandalized but fascinated by the idea of all this immorality in the Church. What I found most absorbing, however, was not the salacious aspects of the plot nor the images of Esmeralda but the deformed bell ringer, Quasimodo, who has become the popular symbol of this story. As I mentioned in a post about six months ago, Quasimodo was so named because when he was an infant his mother abandoned him at the cathedral of Our Lady of Paris (“Notre Dame de Paris”) on Quasimodo Sunday — the first Sunday after Easter. The Introit of the Mass for that day is taken from the second chapter of the First Letter of Peter: Quasi modo geniti infantes, rationabile, sine dolo lac concupiscite ut in eo crescatis in salutem si gustastis quoniam dulcis Dominus. That passage is often translated, As newborn infants do, long for pure spiritual milk so that through it you may grow into salvation, for you have tasted that the Lord is good. In the popular retelling of this story, what is frequently lost is that core reality that the grotesque figure who plays a critical part in it was a human being with the same desires and sensibilities that motivate all human beings. 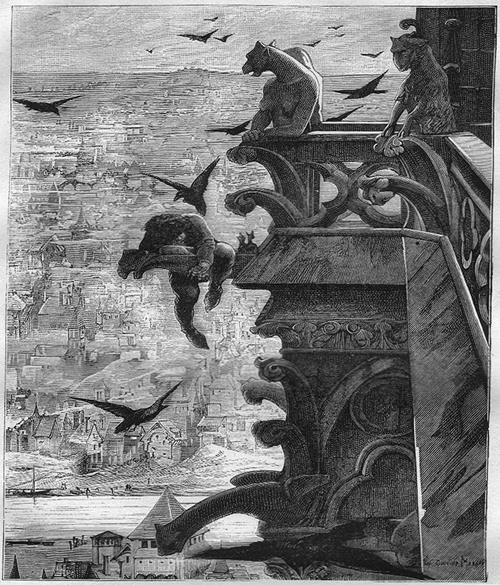 The very fact that the story is popularly known as “The Hunchback of Notre Dame” — as though his misshapen spine defined Quasimodo as a person — suggests a disregard for, or at least an ignorance of, Hugo’s intention to present Quasimodo as a man motivated by two understandable feelings — a sense of loyalty to the archdeacon Claude Frollo, Esmeralda’s nemesis, who had provided the foundling with a home, and a chaste affection for Esmeralda, the only person to show Quasimodo compassion. 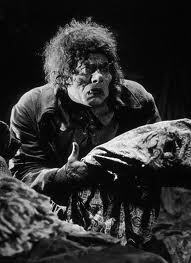 This experience of the fictional Quasimodo resonates in the experience of the real Joseph Merrick, the 19th century Englishman who was known to his contemporaries and is widely known now as “the elephant man” because he was so “unfortunate” as to suffer from a disease that badly deformed his body. Life gave Merrick two choices — to be alternately displayed and hounded as a freak or to withdraw from society almost entirely and live in seclusion in London Hospital. I think it is a telling detail in Merrick’s biography that once he was living permanently at the hospital he asked to be confirmed in the Church of England. I suppose that request was an indication of his hope, or faith, that in the mind of God he was as much a human being as any other amalgamation of body and soul. Hugo’s novel was my answer to the NPR question both because it introduced me to classical fiction and because it made me aware for the first time of the whole creature that may be imperfectly displayed in the features and posture of a man, woman, or child — something, I am sorry to say, I have had to be reminded of many times since. 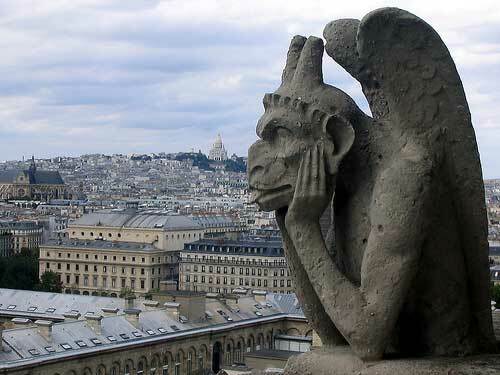 On the face of this aged queen of our cathedrals, by the side of a wrinkle, one always finds a scar. “Tempus edax, homo edacior,” which I should be glad to translate: Time is blind, man is stupid. 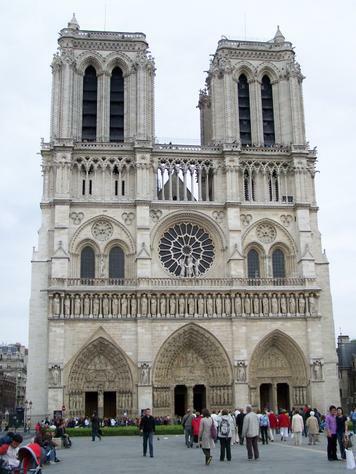 The attention Hugo called to the condition of the cathedral was at least partly responsible for a major renovation of the structure, which is the focal point for many visitors to Paris. You can see interactive panoramic views of the cathedral by clicking HERE. Alfred Barbou illustration from the first edition of the novel. What a wonderfully evocative post. I wouldn’t have thought I have something in common with Victor Hugo, but in fact his view of the relationship between architecture and books sounds remarkably like my own view of the relationship between books and e-readers. Many thanks for pointing out that particular road. Still, it’s been worth pondering that list of life-shaping books, and pulling a couple of them off the shelf again! It’s no wonder that you’ve had to be reminded to distinguish between physical appearance and the person within. Our culture dwells so insistently on outward appearance, complexion, stature, athletic prowess, and so on. We all need to remind ourselves that the qualities we value — and the experiences we call life — are to be found elsewhere. Thank you for reminding me, today, with this excellent post. 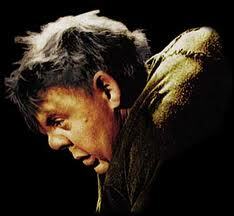 does quasimodo like to read books?